18-year-old Japanese student wearing an AC/DC t-shirt over striped long sleeve shirt, Tripp NYC pants, a crossbody bag, and platforms. Japanese students wearing stripes and brightly colored pants while out in Harajuku. 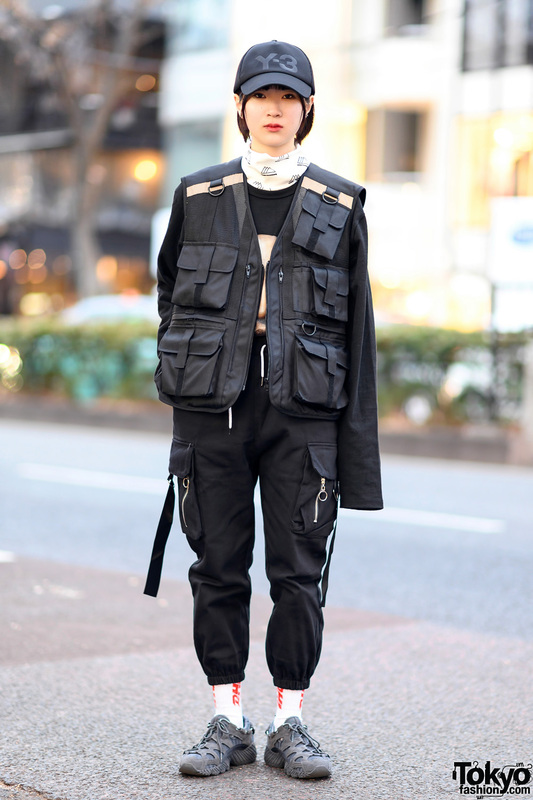 Harajuku girl sporting a monochrome streetwear style while out and about on the street. 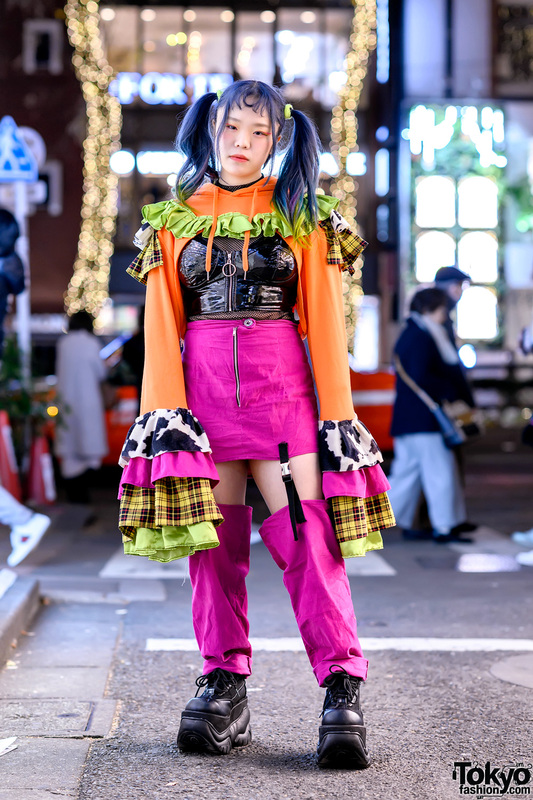 Tokyo-based stylist on the street in Harajuku wearing a handmade style with Demonia platform boots and blue twintails. 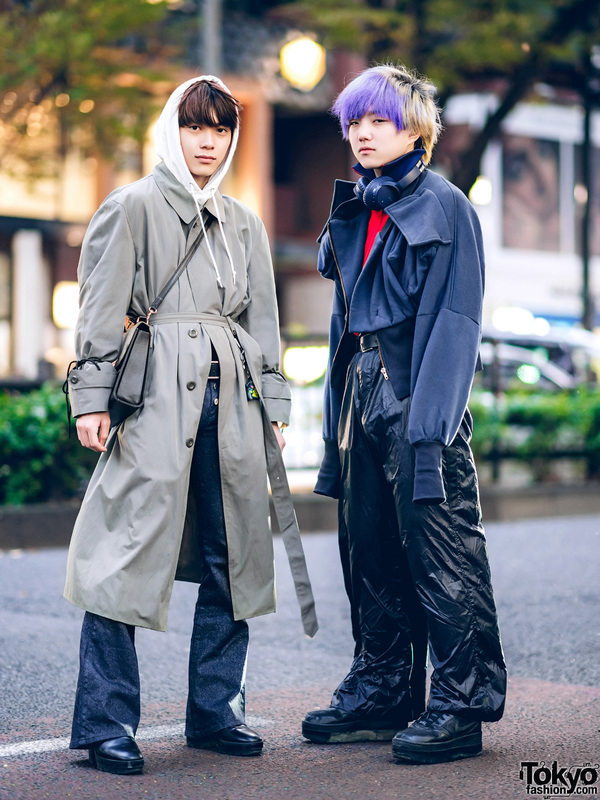 Harajuku guys sportings stylish outerwear street styles while out on the street one afternoon. 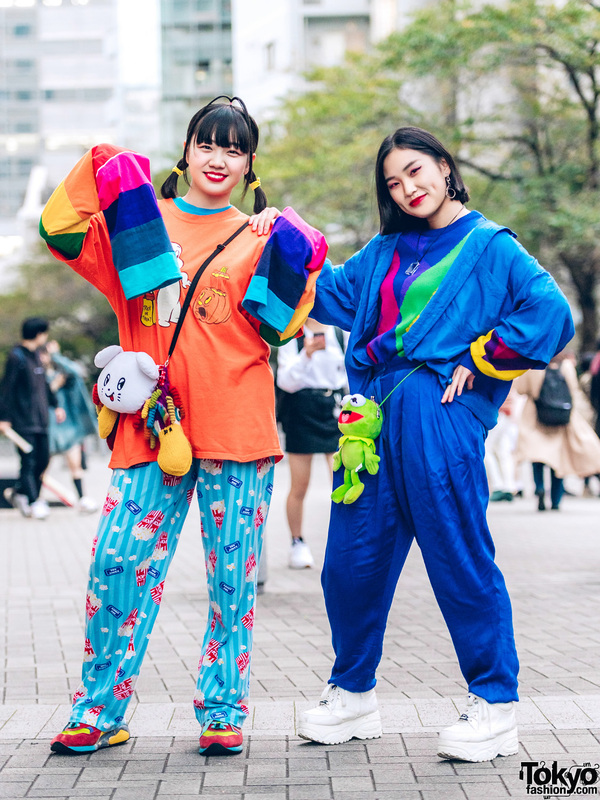 Tokyo girls sporting colorful streetwear styles with Casper the Friendly Ghost t-shirt, rainbow sleeves, blue outfit and Kermit the Frog sling bag. 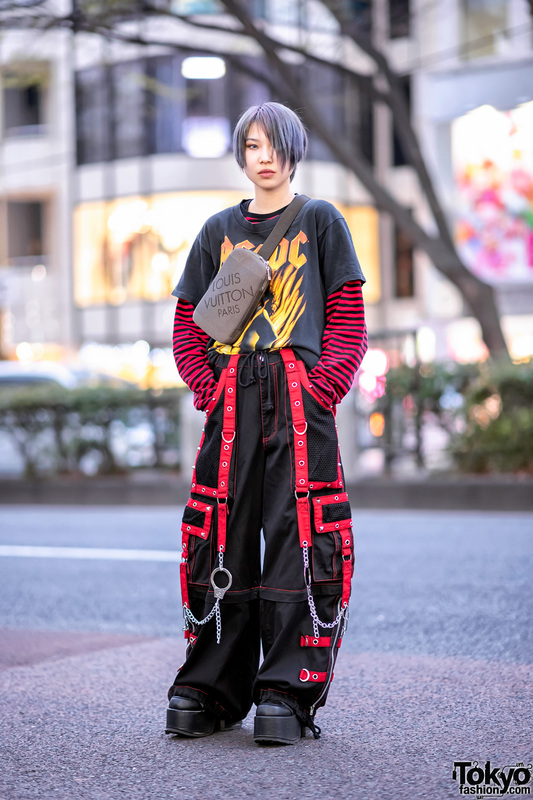 Harajuku girls in orange-hued streetwear styles with sweatshirt dress, layered tops, velvet pants, platforms and accessories. 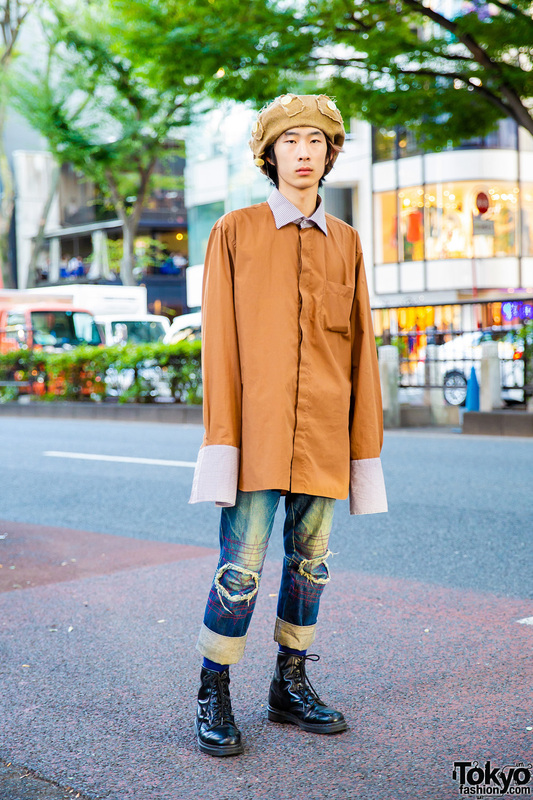 Harajuku guy in an interesting artsy streetwear style while out and about on the street. 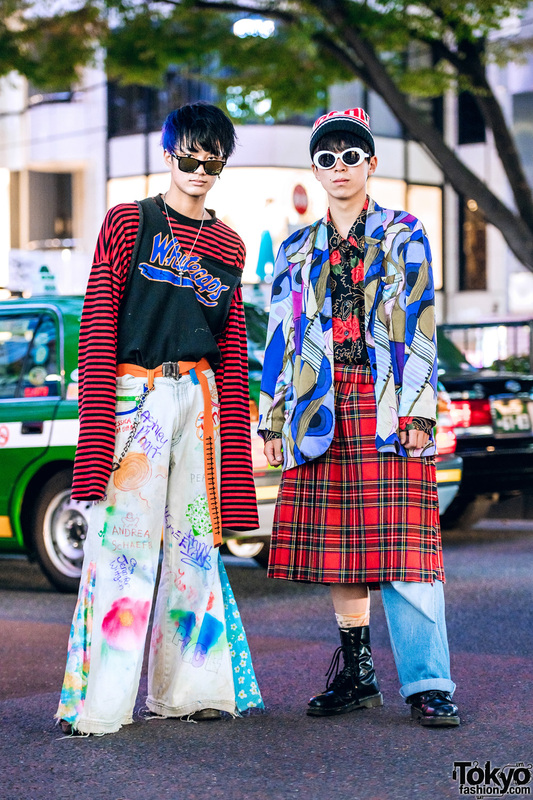 Harajuku guys sporting eclectic mixed-prints streetwear styles while out one late afternoon. 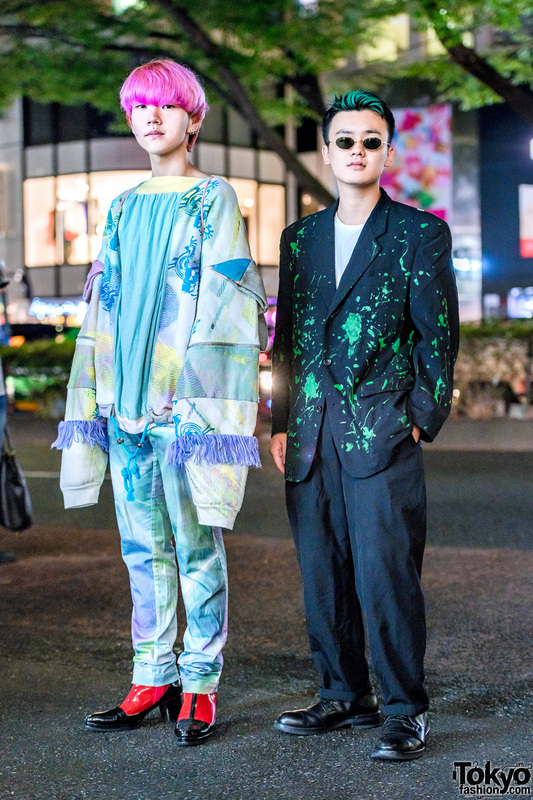 Japanese 18-year-olds in Harajuku street styles with pastel and paint-splatter, Comme Des Garcons, Issey Miyake, and Yohji Yamamoto.